Our family has been living life on the Autism Spectrum for around two decades now. During this time much of the landscape has changed. “Awareness” and “acceptance” have become buzzwords, while what so many of us prefer is understanding for who we are and how we process this thing we all call life. Autism is not a trend; it’s part of our lives. After many years of throwing in the towel when it came to taking our then-young Aspie to sporting events due to sensory overload, I am thrilled to say this part of the landscape is finally starting to change, too. In other words, for this one family, it felt like sports were become more unwelcoming to those with both autism and Sensory Processing Disorder just as autism awareness was increasing. Thankfully, this is changing. And to this family’s delight (and relief!) it includes baseball. 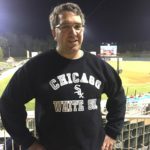 Recently, I had the honor of meeting Brian Radle, the president and GM of the Kannapolis Intimidators, the Chicago White Sox’s Class A affiliate team (South Atlantic League). What he showed me blew my mind and touched my heart. Like me (and perhaps you! ), he’s the parent of someone with autism and he “gets” meltdowns and sensory overload. And he decided to do something about it. 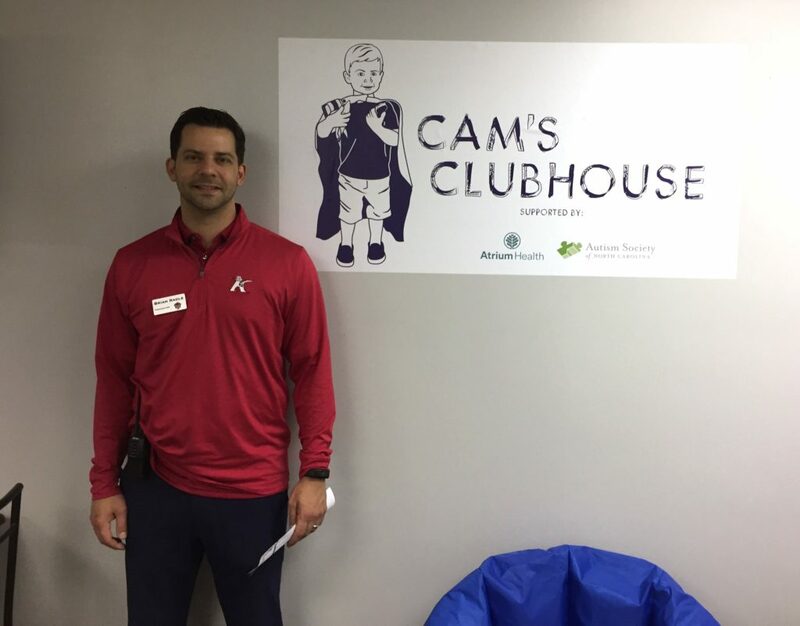 Brian made a decision to convert one of the office spaces of the Intimidators baseball team into “Cam’s Clubhouse,” a space for those with autism and their families to use during games. It was very difficult to attend and enjoy sporting events when K was little. The crowd noise, musical interludes would drive her to cover her ears. The darkening of the arena for pregame hockey or basketball introductions would create sensory overload. And of course, when it came to baseball, an ever present anxiety about whether there would be fireworks and if so, when. It was a bit easier when attending minor league baseball games near where we lived. Minor league clubs have a much smaller budget than the big leaguers and unless they explicitly advertise “fireworks night”, you can bank on there being no fireworks to celebrate a key home run or a big victory. However, when it comes to the major leagues, you can always count on fireworks, even in-game, to mark big occasions. This made our occasional foray to Toronto Blue Jays games (the closest MLB team to us at the time) a minefield for emotional and sensory overload. We would coach K that there would often be quick pre-game fireworks (which usually meant standing somewhere in the inner bowels of the stadium concourse) and of course, a firework or two to mark the hometown team connecting on a home run. So when during one game, Carlos Delgado smacked a long ball over the fence for a Jays homer, we quickly reminded K that there would be a short burst of fireworks. She steeled herself, they went off, and then we reinforced that it was all over and she had made it through. Except that it wasn’t over. Delgado had just set the Toronto franchise record for home runs and rightfully so, the team pulled out all stops to celebrate, including what seemed like a several minute long celebration punctuated by fireworks. Of course, this led to a major meltdown and a quick exit from the ballgame. So much for that night out. Fast forward to about 15 years later. She now voluntarily attends sports games. She makes annual treks to Chicago Bulls games, which feature loud, pulsating music and player introductions in a darkened arena. And yes, she’ll even attend major league baseball games. 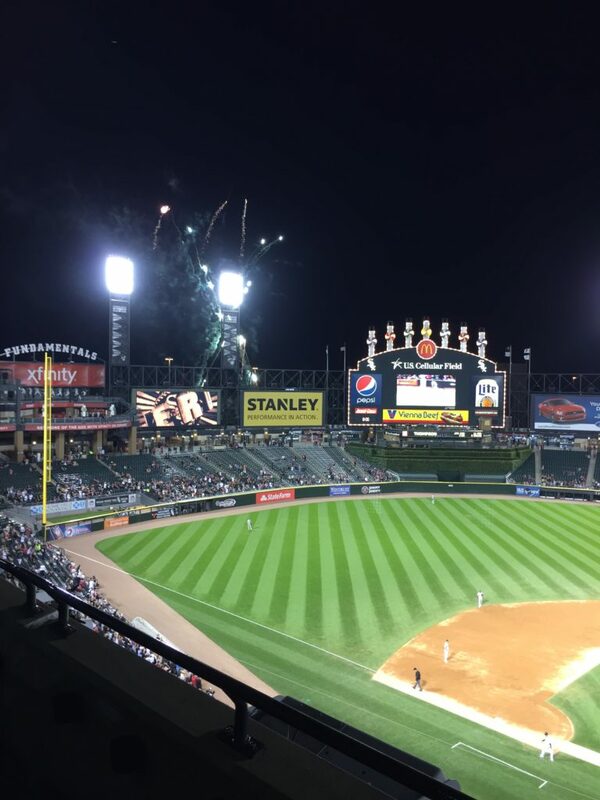 She stays in her seat when a White Sox player hits a home run and Southside Chicago’s famous “exploding scoreboard” does its thing. But knowing what a struggle it was for her as a little one makes it more special to see sensory-friendly environments being developed at NHL arenas, minor league ballparks and yes, even at NASCAR’s Dover racetrack. Our daughter’s path to change and growth appears to mirror that of Brian Radle’s young son, Cam. A mix of exposure along with knowing their limits, plus having safe spaces to retreat to when sensory overload appears makes a difference. This brings us back to Cam’s Clubhouse. What inspired Brian Radle to create this space? His son, Cam, who has autism. Going to games is part of the fabric that makes up this incredible baseball family. But for Cam meltdowns due to sensory overload soon became part of that equation. This meant sitting in the stands for an entire game just wasn’t feasible. But what was? Sitting home and missing out? No, baseball is a family event. And what about other families who live life with autism? Having a sensory friendly space to go to is key. 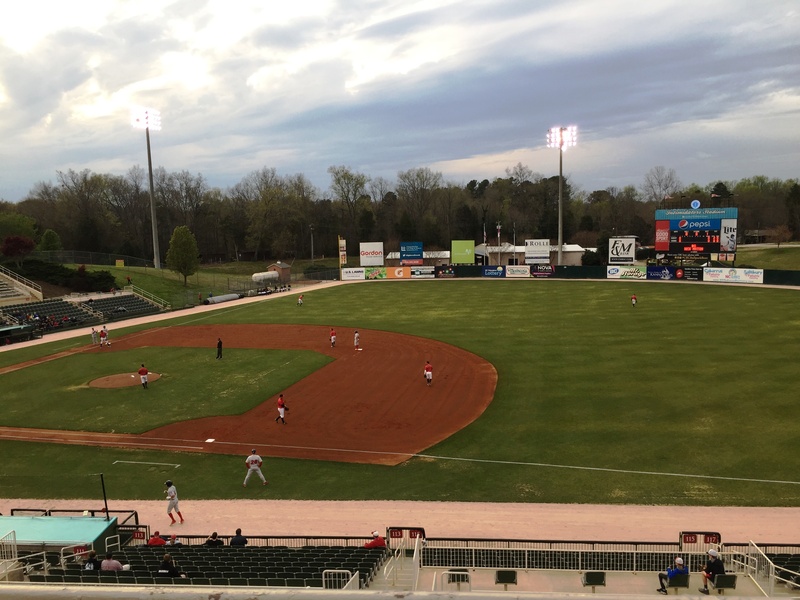 Noticing the Kannapolis Intimidators had the space, Brian (along with his wife) decided to create a place where autistics and their families could go when sensory overload appeared. And not just any space; a space where they could go and still enjoy the game. The Autism Society of North Carolina came alongside and helped, expertly helping set up the space for future members of Cam’s Clubhouse. 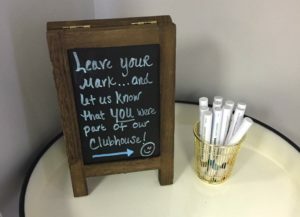 That brings us to another point; the term “clubhouse.” Brian’s vision is for families to not only utilize the space, but to connect with each other through it. Building community is important for all of us. For families living life on the Autism Spectrum, it’s crucial yet difficult. Spaces such as Cam’s Clubhouse offer not only great spaces for the kids, but spaces for their parents and siblings, too. What’s the catch? How do you get there? How much does it cost? It doesn’t cost anything but a baseball ticket and time. Cam’s Clubhouse, itself, is free to those who need it. All you need to do is ask and you’ll be shown the way. And for those curious about the cost of creating this space? It was well under $500, meaning other teams should feel encouraged to give it a try. I didn’t even need to ask Brian how his son responded to this sensory friendly space. He beamed as he spoke how his son is already tolerating games and the sensory soup better. Through exposure he’s growing. The clubhouse allows families this same exposure. It’s a space that turns down the bustle of the crowds, the lights, and the noises. There is a window overlooking the field providing game watching from a sensory friendly space. A train play set sits nearby, as well as colorful toys and more for those who would rather fidget and play than watch. There is ample seating, too, and food and drink are allowed in this clubhouse. It truly is a place to feel welcome, to feel like you belong. For autism families, that is no small thing, is it? Inside Cam’s Clubhouse. Note the train table in the middle of the pic! 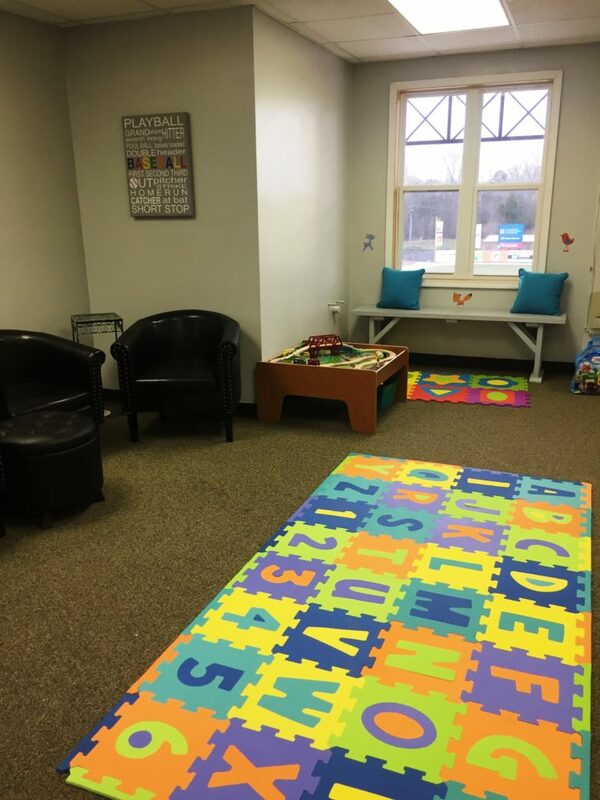 Have autism and want to stop by but not familiar with Kannapolis, NC? It’s in the greater Charlotte region, on the northern edge. Its location means driving from Winston-Salem, Greensboro, even Raleigh is doable. An Intimidators game is budget friendly, too. Spaces like this will only spread though support and support involves going and enjoying these spaces. If you visit Cam’s Clubhouse, comment below and share your own experience! Let the Radle family and the Intimidators know what this space means to you. Like many stadiums, this one is aging and a new one is on the docket. Thankfully, Cam’s Clubhouse will be making the move with them. We believe Brian’s revolutionary decision is inspiring other professional sporting venues to make this move, too. For more information on the Kannapolis Intimidators, visit their website, Twitter, or Instagram.